It’s happened to all of us: we’re sitting down for a family dinner or rushing out the door on the way to meet friends and the phone rings: a 1-800 or unknown number. For those who dare to answer, the call is usually a telemarketer, a follow up on an appointment or a request for more information. Even if you were interested in buying home security, now is just not the right time. For Akron-based Drips, their goal is to make sure companies aren’t losing potential customers because of an ill-timed call. With a simple text message, this lead generation platform is looking to establish a good time to talk in the effort to convert leads to actual clients. Drips believes companies shouldn’t lose customers simply because they’ve called at a bad time. To avoid this faux pas, they’ve employed a custom blend of artificial intelligence and human interaction to schedule calls via text. If a customer is looking for home security information and fills out a form on a website, Drips’ AI response will initiate a message asking them the best time to call to learn more about their options. This works to ensure companies can better respond to the needs and lifestyles of their customers in a “text-first” age. “We aren’t just an AI platform. We include humans,” said Evans. “Our account team acts as an extension of our clients’ marketing department. One of our key components is the expertise of the team here at Drips who have worked in the industries we serve. Drips also handles messaging compliance on behalf of its clients, offering a responsive opt-out option. If the AI can’t quite decipher one of the 4,000 ways that a potential lead is trying to say “no” to a campaign, Drips even ensures that a human will take a look at the conversation in order to provide a personalized, secure experience. 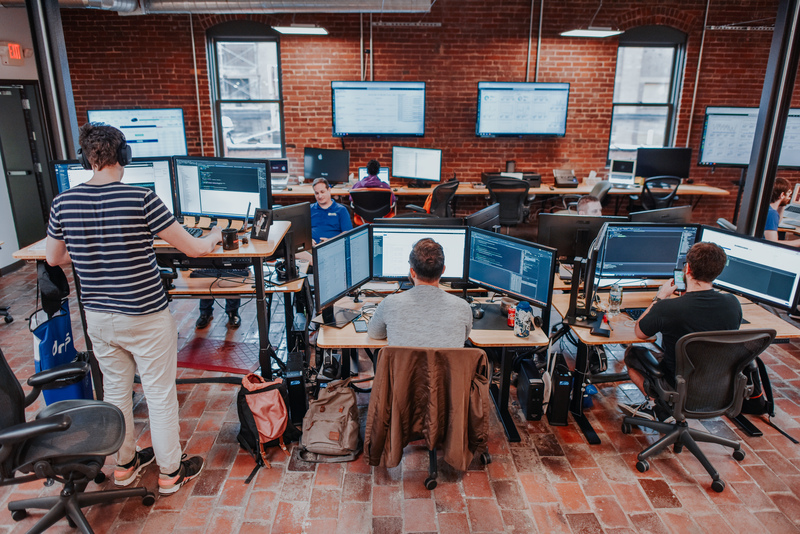 While handling millions of messages a day, Drips has relied on the mentorship of Bounce Innovation Hub, a partner of Ohio Third Frontier, for direction and support.